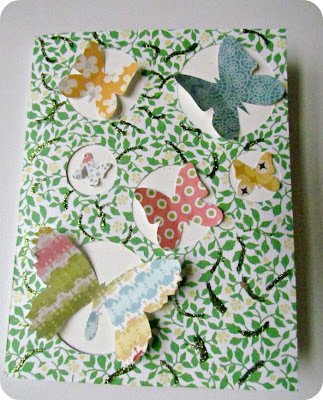 Here we go, another butterfly themed craft. 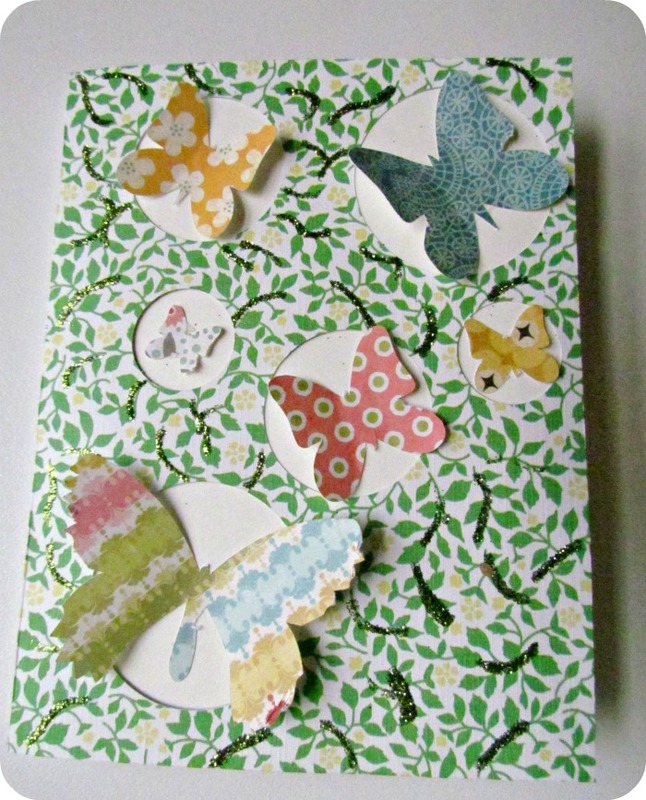 Sorry, but I cut out so many extra butterflies for my new Butterfly Art Canvas project that I have to come up with new ideas to use up them all up! 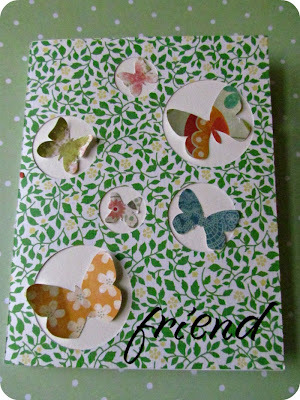 I came across this idea over on Simon Says Stamp which I found through Tip Junkie (love that site!). 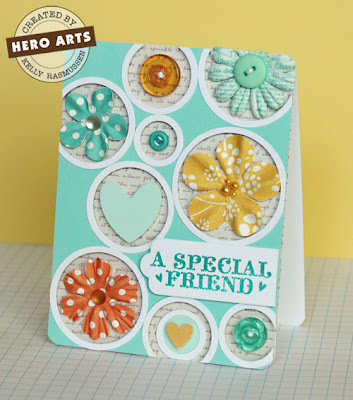 Mine is a little different in that I didn't use all different kinds of embellishments, although I love that idea. 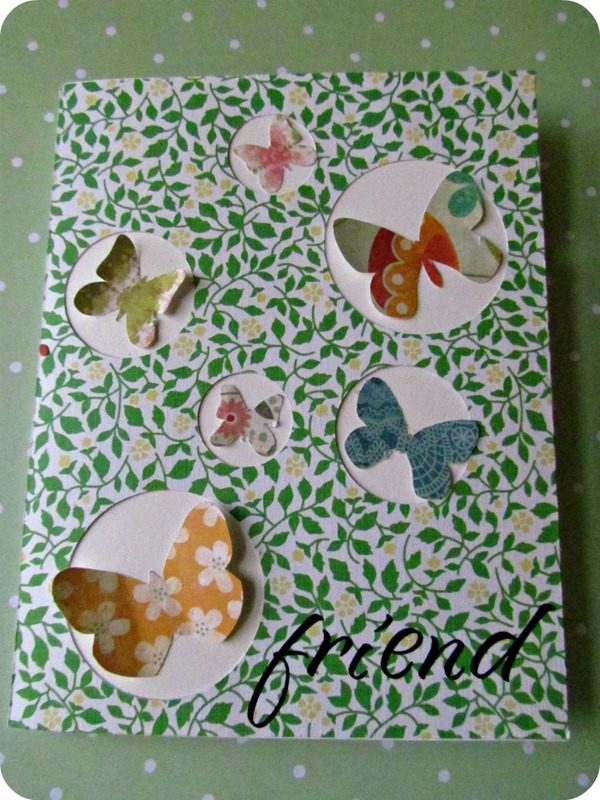 It's much more simple, but it used up 6 butterflies! 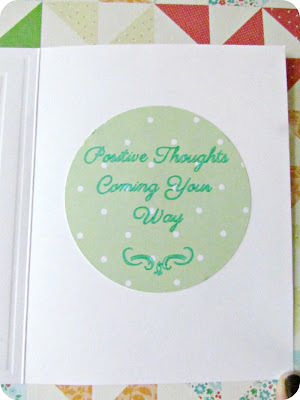 It went out to a lovely lady Ive met through blogging who was going through something very sad recently. Isn't it funny how blogging can create wonderful friendships with people you've never even met! 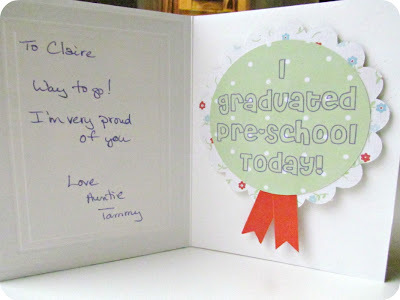 I made a similar one for my niece who graduated from Pre-School the other day. The badge is up on some 3D Dots so that she could take it off and wear it. Make super sure you come back tomorrow...I have something special going on that involves you, me...and Martha Stewart!! Beautiful. I'm sure the lucky gal who received that card appreciated it beyond words. I love how Claire gets to wear that ribbon - too cute! Love your cards! The circle cutouts are really cool!